last Sunday I was at the art museum again because there was a special event. It was a tour led by drag queen Tiefe Kümmernis through the museum and she talked about gender ideals and their origins. It was super interesting and I liked it a lot. It was such a shame that it was only so short, at least in my opinion. If there is a next tour I will definitely attend again. 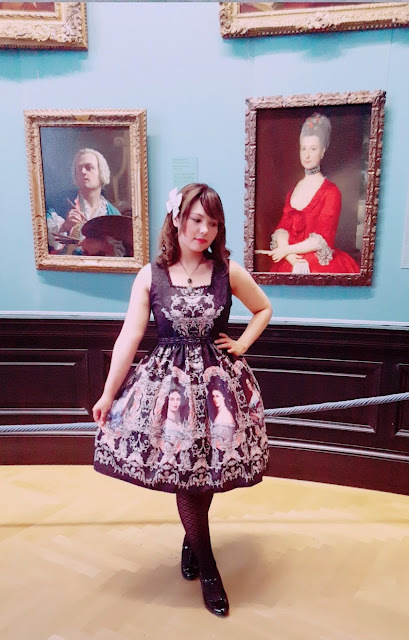 My outfit for that day was inspired by all the beautiful pictures in the museum. 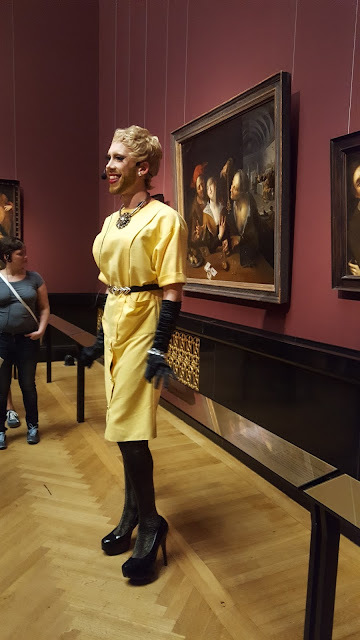 It was not very hot outside but still had high temperatures and a high humidity in the museum. 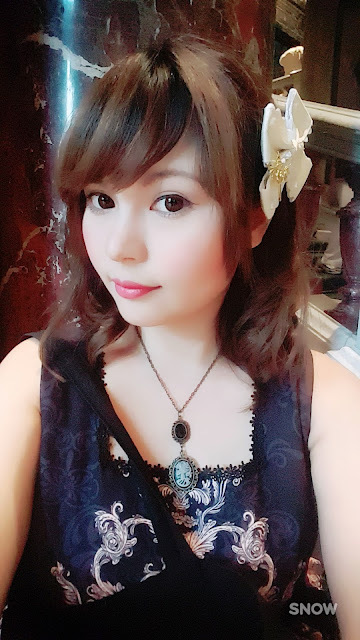 This is the reason why I took off my bolero and made the outfit more casual. The dress is called dear princess and it's from Abyss museum. 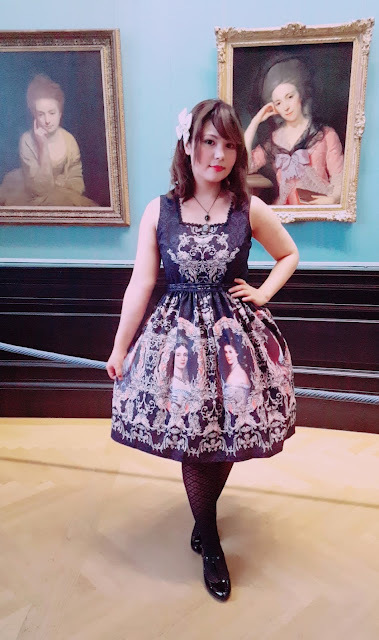 I made a small blogpost about the dress last month. See here.